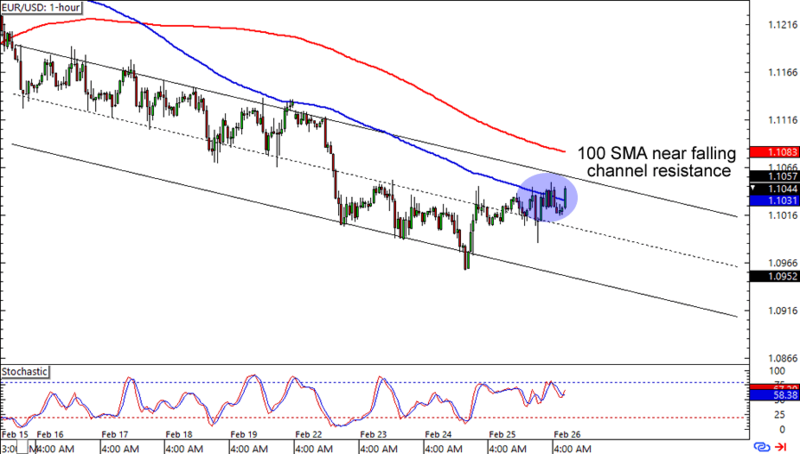 We’re starting with an easy peasy trend play on EUR/USD. Right now the bulls are struggling to break above the 1.1050 minor psychological area, which is near the 100 SMA and falling channel resistance on the 1-hour chart. Stochastic isn’t taking sides right now though it’s almost at the overbought region. What do you think? Is the euro in for more losses against the Greenback? Read up on trading trending markets if you’re new to the biz! Pound bears huddle up! If you’re looking for a spot to short the British pound some more, then this one’s for you! 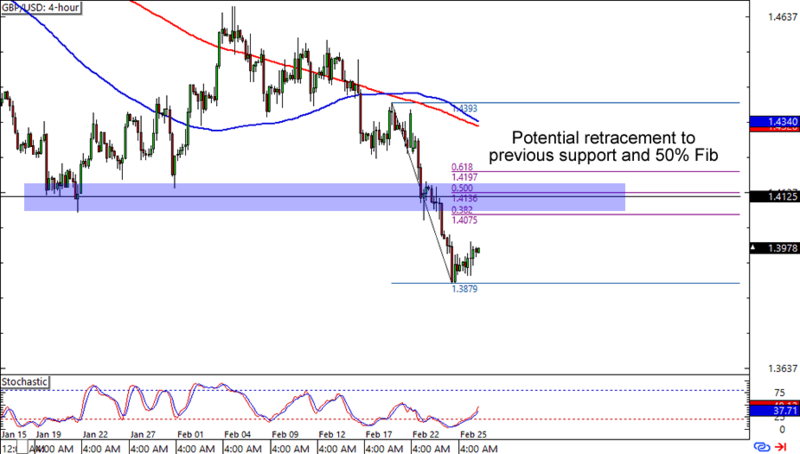 GBP/USD just bounced from the 1.3900 area and seems like it’s headed for the 1.4100 levels. Watch out for the 50% Fib on the 4-hour time frame! The level lines up with a previous support and could present a challenge for the bulls. The pair still has a long way to go before it reaches the Fib areas, so you’ll have time to polish your trading plans. Keep close tabs on this one, fellas! Can’t get enough of the yen? Here’s one for countertrend traders! 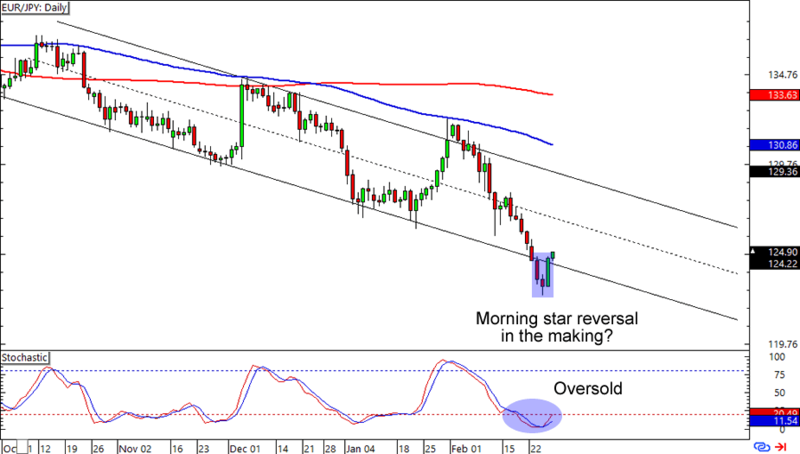 EUR/JPY is presenting a possible Morning Star pattern on the daily time frame. If you’ve read the School of Pipsology, then you’ll know that we could be looking at a reversal in the making. It also doesn’t hurt that it’s happening right at a falling channel support area AND that Stochastic is in the oversold territory. You could get serious pips if you buy at current levels and aim for the channel resistance. Be careful in making countertrend trades though. It’s not for everyone!